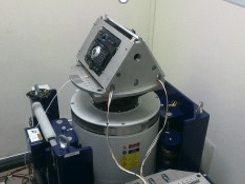 For vibration testing, engineers commonly use a specially designed fixture to attach the Device Under Test (DUT) to a shaker table top in the orientation of its end use environment. For example, to test a military vehicle computer with road-like vibrations, the shaker vibrates in the vertical direction. With a specially designed fixture, a test engineer can mount the rugged computer to the fixture so it is orientated vertically (Figure 1). 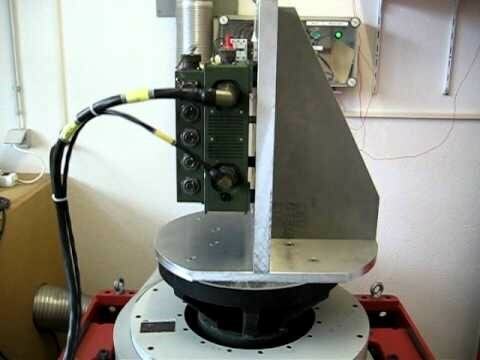 It would clearly make no sense to simply lay it on the shaker table, as the vibration testing direction would be perpendicular to real-world operation. A rugged military vehicle computer is mounted on a fixture In the orientation of its end use environment. Auto head unit mounted on a shaker. This principle holds for any DUT. Another example is car electronics; the instrument panel, audio controls, and navigation system (the head unit) must be attached to the shaker during vibration testing in the same orientation, including tilt, that they will have in a vehicle (Figure 2). A well-designed fixture accomplishes the DUT attachment in the proper orientation without affecting vibration driven by the shaker system. That is, the fixture must not have any natural resonances within the test frequency range nor interfere by damping the vibration energy at any point in that range. Beyond supporting a realistic test, a good fixture design also adds efficiency and consistency to the testing. A test engineer should be able to readily remove one DUT unit and replace it with another unit in exactly the same orientation, making it easy to duplicate the testing and confirm the results. Additionally, the fixture must be designed and constructed so that it is not damaged itself during testing. However, this reliability cannot be achieved by ‘over-engineering’ a massive fixture; additional mass makes the shaker work harder and limits its responsiveness to changing control signals.